‘Zero date’ for Amaravati begins through Singapore! 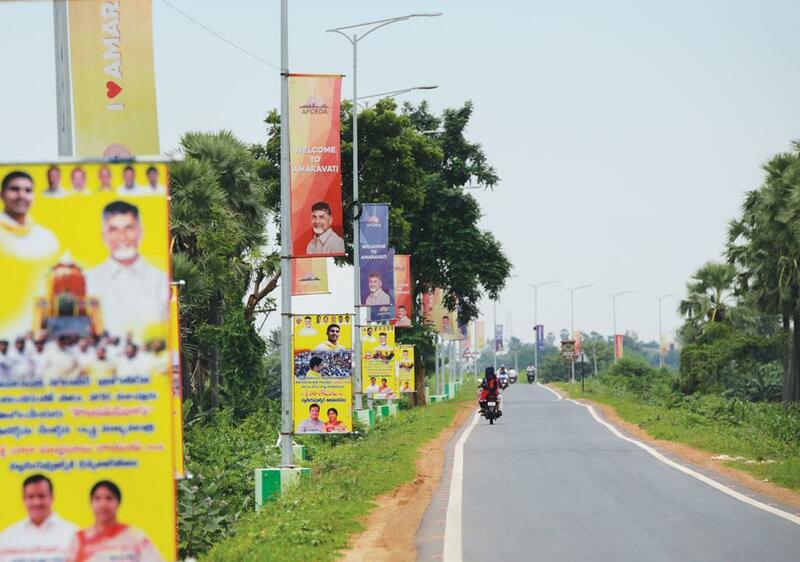 The ‘zero date’ for the construction in the start-up area of Amaravati seems to have begun with the Andhra Pradesh Capital Region Development Authority (APCRDA) and Singapore-Amaravati Investments Holding Ltd (SAIH) signing a Concession and Development Agreement (CADA) on June 7, 2018, under the controversial Swiss Challenge Method (SCM). Andhra Pradesh Chief Minister, N Chandrababu Naidu and Singapore’s minister-in-charge of trade relations, S Iswaran, were present on the occasion. Amaravati Development Partners (ADP) was incorporated in India by SAIH and Amaravati Development Corporation (ADC), an agency of the Government of AP (GoAP), for joint development of the 684-hectare start-up area in Amaravati. The CADA is known to have certain conditions as a precedent including, among others, access to contiguous land stretches that are free from all encumbrances and the grant to ADP, by way of a General Power of Attorney, of rights to marketable land titles to facilitate the sale of developed plots of land to end users. The SCM has been controversial from the very beginning for several reasons. This brief article is intended to reveal that the allegations of collusion between GoAP and Singapore companies are not untrue and that there was no scope for any competition in this so-called international bidding. The correspondence cited above, however, indicates a prior understanding between GoAP and Singapore companies who had the privilege of knowing the capital city project much before the same was brought into the public domain under the SCM. Accordingly, this so-called competition did not provide a level playing field to others. Therefore, it is scandalous to claim that the proposal given by Singapore companies is suomotu or unsolicited as per the AP Infrastructure Development Enabling (APIDE) Act, 2001. In 2016, citing several procedural loopholes in the bidding process under this SCM, the High Court at Hyderabad granted a stay on this project and remarked that if such a stay is not ordered, “irreparable injury would be caused” to public interest (Order dated 12-09-2016 in W.P Nos. 28042 and 29692 of 2016). To circumvent the questions raised by the High Court, the GoAP drastically amended the APIDE Act, 2001, reissued the same SCM proposal and finally approved it. In a public interest litigation filed by I Y R Krishna Rao, the first chief secretary of AP (Rtd), in the High Court (W.P. No. 38 of 2018), it was contended that the entire tender process starting with the press release dated May 4, 2015, till it was approved, has been “vitiated by arbitrariness, illegality, non-transparency and discrimination, vitiating the very decision-making process” which indicated an outright collusion between the two parties from the very beginning. It is in this context that one has to see why no other country showed interest in this project. Therefore, Naidu’s lament, when he said that though invitations were sent to 47 embassies and 141 companies worldwide “no country, including Japan, came forward to participate in bidding” through SCM except Singapore, lacks conviction.